I know I raved about him enough when I was at The Greenhouse Tavern in Cleveland earlier this year, but if you aren't paying attention to Jonathon Sawyer, this is your official wake up call. 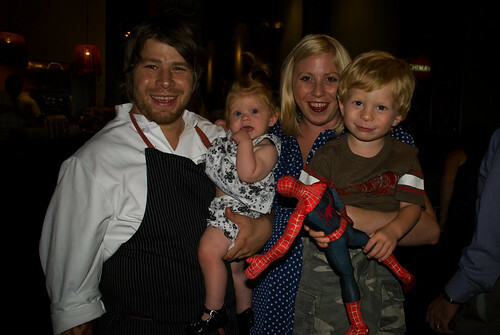 Sawyer has been named one of Food & Wine's Best New Chefs! Follow along the fun with Jonathan on Facebook or Twitter, his wife Amelia and his many fans. Foodie hot spots DC and Florida are shut out in 2010. Is your state? PS. High five to Missy Robbins of A Voce in NYC for being the only chick (and DC native!) to smash the ceiling this year!